The last year of our lives have been one of surprise. We had no idea that our little number 4 would make an appearance this year. We always knew 4 was our number for the amount of kids we’d have, but just having our third in March of 2010 – who knew. We have made major changes in our life, none that we could of predicted. It all happened because of Zeke, our fourth. 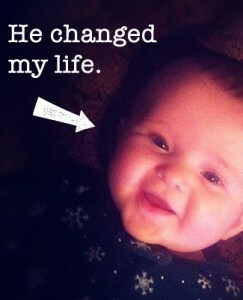 Read about how Babies Can Change Your Life – its what I’m babbling.